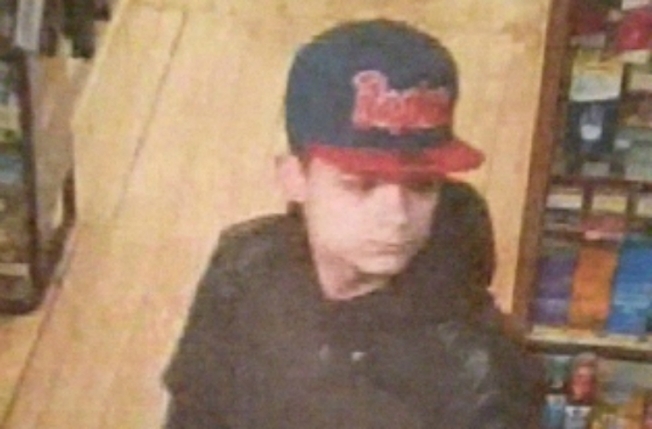 Police released this image from surveillance video of the suspect in an armed robbery. New Hampshire State Police are investigating an armed robbery early Saturday morning at a Hooksett rest area on I-93 southbound. A white male, believed to be in his late teens or early 20s, showed a handgun and demanded money at the Common Man General Store at about 12:10 a.m. and fled on foot, according to police. The Hooksett and Bow police departments assisted in the search for the suspect. Anyone with information is urged to contact Trooper Megan Walsh at (603) 271-1162.